Westgate Oxford, a brand-new venue located in the heart of the city centre, opens its doors to the public for the first time today. 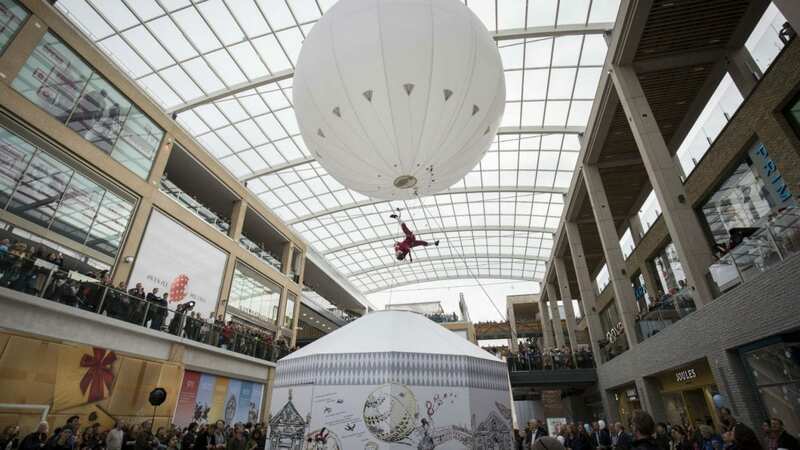 The centre, which offers guests a perfect day out, celebrates its first day of opening with a show-stopping spectacle: an acrobatics display in a balloon heliosphere sailing up towards the stunning glass roof of the 800,000 sq ft development. To celebrate its first 10 days of opening, between 24th October and 2nd November, Westgate Oxford will be offering a series of ‘curiouser and curiouser’ theatrical and creative experiences in homage to the famous novel Alice’s Adventures in Wonderland, which was written in Oxford. Blending the charm of an iconic British city with a game-changing retail and leisure experience, Westgate Oxford is anchored by a 140,000 sq. ft. John Lewis store. The centre is also home to a number of national and international brands including Uniqlo, Primark, Ted Baker, Victoria’s Secret Pink, MAC and Nespresso Boutique. The development will further bolster the city’s already flourishing independent retail and leisure offering, with a new opening from local brand Blackwell’s bookshop followed the opening of fashion retailer, Burrows & Hare before Christmas. Westgate Oxford will boast the city’s first public roof terrace, offering guests never-before-seen views of the dreaming spires of Oxford and its surrounding countryside. Opening in time for Christmas, rooftop restaurants will include the first venture outside London for Pizza Pilgrims, Dirty Bones and Cinnamon Kitchen as well as Sticks n Sushi, The Breakfast Club, and The Alchemist. Alongside this impressive food and beverage offering will sit a five-screen boutique Curzon cinema showcasing the latest blockbusters and independent film releases. At ground level, and with something for everyone, Westgate Social offers further international dining options in a relaxed environment late into the evening. The perfect spot to meet friends and family after a day browsing the shops, visitors can eat together in a vibrant communal space, while choosing from multiple street food vendors including Mexican restaurant, Benito’s Hat and Shawa Lebanese’s Grill alongside dine-in options from Tommy’s Burger Joint and Ned’s Noodles. Transport and accessibility have played a major role in the development of Westgate Oxford. Led by Oxfordshire County Council, Oxford City Council and Oxford bus companies, five of the city’s Park and Ride stations (Thornhill, Redbridge, Seacourt, Peartree and Oxford Parkway) are being improved to allow easy travel into Oxford. It is expected that 60% of journeys to Westgate Oxford will be taken by bus. Cyclists can enjoy the use of one of 1,000 new bike spaces at Westgate Oxford, available for visitors and shoppers in addition to cycle parking for staff. This will include a cycle hub on Old Greyfriars St, to provide safe, secure indoor cycle parking. Alongside standard vehicle spaces, there are 50 charging stations for electric vehicles. The development has created around 3,00 new jobs across the city. The Westgate Oxford Alliance worked with Oxford City and County Councils, Job Centre Plus, City of Oxford College and Aspire Oxford to promote vacancies to local people. 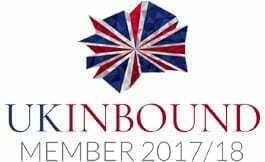 The roles filled include managerial positions and entry level apprenticeships, as well as jobs in sales, catering and the wider supply chain.